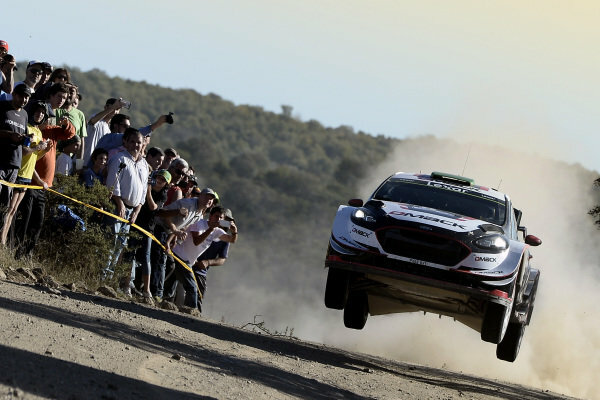 FIA World Rally Championship, Rd 6.<br /> May 15-18, 2008<br /> Rally d'Italia Sardegna, Olbia, Sardinia, Italy<br /> Day Three, Sunday May 18, 2008.<br /> Dani Sordo (ESP) on Stage 14.<br /> DIGITAL IMAGE<br /> FIA World Rally Championship, Rd6, Rally d'Italia Sardegna, Sardinia, Italy, Day Three, Sunday 18 May 2008. 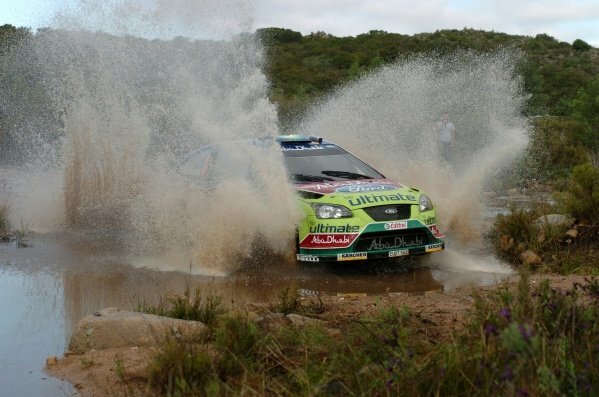 FIA World Rally Championship, Rd 6.<br /> May 15-18, 2008<br /> Rally d'Italia Sardegna, Olbia, Sardinia, Italy<br /> Day Three, Sunday May 18, 2008.<br /> Jari-Matti Latvala (FIN) in the watersplash on Stage 14.<br /> DIGITAL IMAGE<br /> FIA World Rally Championship, Rd6, Rally d'Italia Sardegna, Sardinia, Italy, Day Three, Sunday 18 May 2008. 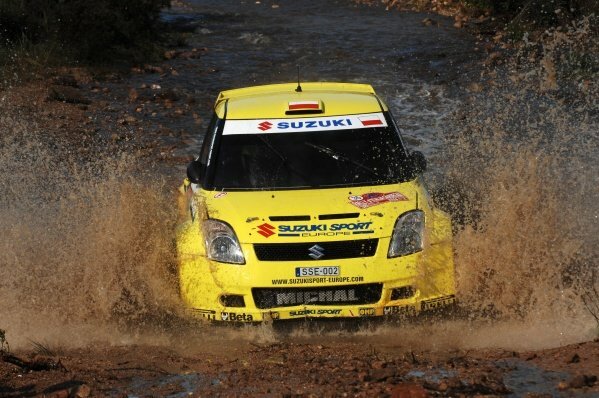 FIA World Rally Championship, Rd 6.<br /> May 15-18, 2008<br /> Rally d'Italia Sardegna, Olbia, Sardinia, Italy<br /> Day Three, Sunday May 18, 2008.<br /> Conrad Rautenbach (ZWE) on Stage 14.<br /> DIGITAL IMAGE<br /> FIA World Rally Championship, Rd6, Rally d'Italia Sardegna, Sardinia, Italy, Day Three, Sunday 18 May 2008. 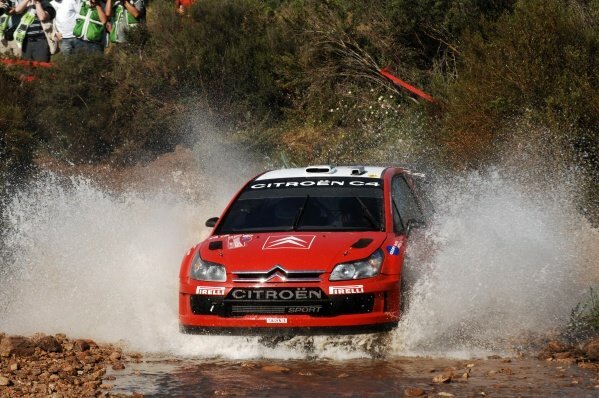 FIA World Rally Championship, Rd 6.<br /> May 15-18, 2008<br /> Rally d'Italia Sardegna, Olbia, Sardinia, Italy<br /> Day Three, Sunday May 18, 2008.<br /> Mikko Hirvonen (FIN) on Stage 14.<br /> DIGITAL IMAGE<br /> FIA World Rally Championship, Rd6, Rally d'Italia Sardegna, Sardinia, Italy, Day Three, Sunday 18 May 2008. 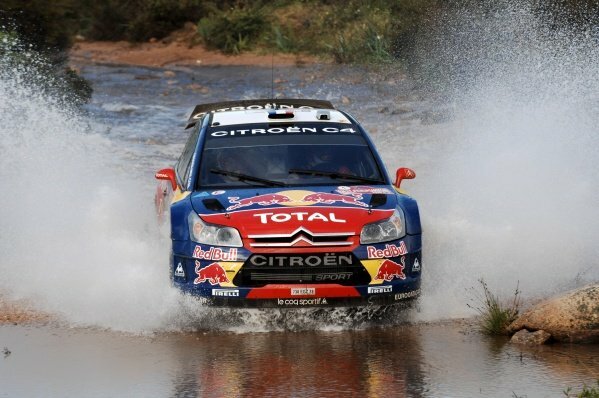 FIA World Rally Championship, Rd 6.<br /> May 15-18, 2008<br /> Rally d'Italia Sardegna, Olbia, Sardinia, Italy<br /> Day Three, Sunday May 18, 2008.<br /> Sebastien Loeb (FRA) through the watersplash on Stage 14.<br /> DIGITAL IMAGE<br /> FIA World Rally Championship, Rd6, Rally d'Italia Sardegna, Sardinia, Italy, Day Three, Sunday 18 May 2008. FIA World Rally Championship, Rd 6.<br /> May 15-18, 2008<br /> Rally d'Italia Sardegna, Olbia, Sardinia, Italy<br /> Day Three, Sunday May 18, 2008.<br /> Mathew Wilson (GBR) on Stage 14.<br /> DIGITAL IMAGE<br /> FIA World Rally Championship, Rd6, Rally d'Italia Sardegna, Sardinia, Italy, Day Three, Sunday 18 May 2008. 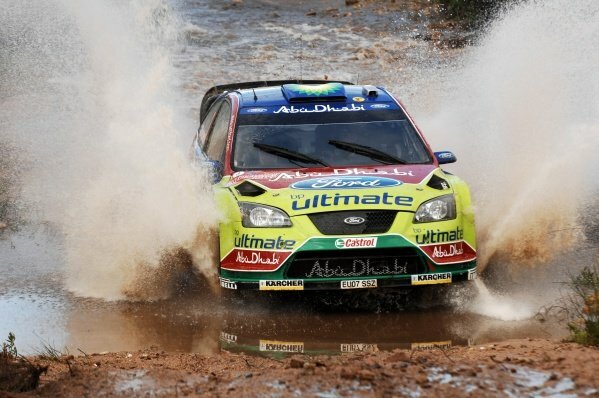 FIA World Rally Championship, Rd 6.<br /> May 15-18, 2008<br /> Rally d'Italia Sardegna, Olbia, Sardinia, Italy<br /> Day Three, Sunday May 18, 2008.<br /> Mads Ostberg (NOR) on Stage 14.<br /> DIGITAL IMAGE<br /> FIA World Rally Championship, Rd6, Rally d'Italia Sardegna, Sardinia, Italy, Day Three, Sunday 18 May 2008. 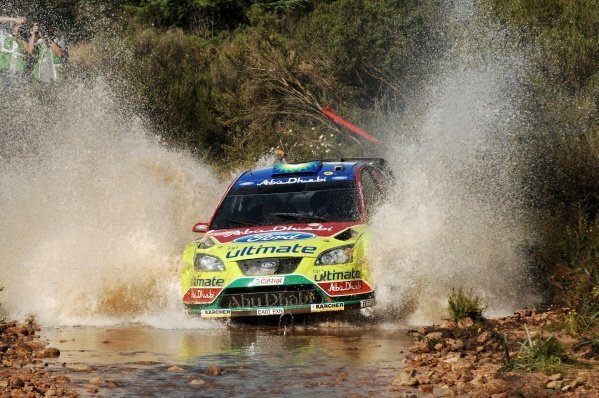 FIA World Rally Championship, Rd 6.<br /> May 15-18, 2008<br /> Rally d'Italia Sardegna, Olbia, Sardinia, Italy<br /> Day Three, Sunday May 18, 2008.<br /> P-G Andersson (SWE) on Stage 14.<br /> DIGITAL IMAGE<br /> FIA World Rally Championship, Rd6, Rally d'Italia Sardegna, Sardinia, Italy, Day Three, Sunday 18 May 2008. FIA World Rally Championship, Rd 6.<br /> May 15-18, 2008<br /> Rally d'Italia Sardegna, Olbia, Sardinia, Italy<br /> Day Three, Sunday May 18, 2008.<br /> Gigi Galli (ITA) on Stage 14.<br /> DIGITAL IMAGE<br /> FIA World Rally Championship, Rd6, Rally d'Italia Sardegna, Sardinia, Italy, Day Three, Sunday 18 May 2008. FIA World Rally Championship, Rd 6.<br /> May 15-18, 2008<br /> Rally d'Italia Sardegna, Olbia, Sardinia, Italy<br /> Day Three, Sunday May 18, 2008.<br /> Urmo Aava (EST) on Stage 14.<br /> DIGITAL IMAGE<br /> FIA World Rally Championship, Rd6, Rally d'Italia Sardegna, Sardinia, Italy, Day Three, Sunday 18 May 2008. 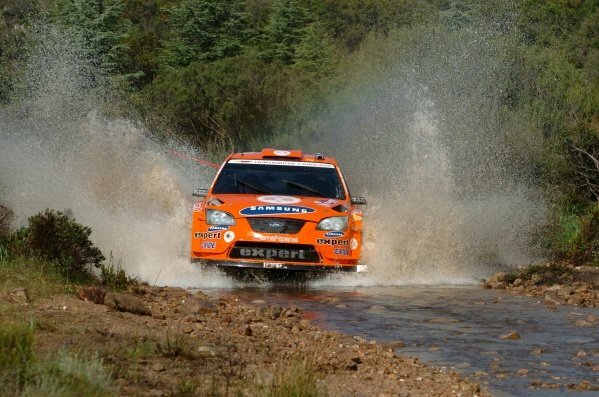 FIA World Rally Championship, Rd 6.<br /> May 15-18, 2008<br /> Rally d'Italia Sardegna, Olbia, Sardinia, Italy<br /> Day Three, Sunday May 18, 2008.<br /> Michal Kosciuszko (POL) on Stage 14.<br /> JWRC.<br /> DIGITAL IMAGE<br /> FIA World Rally Championship, Rd6, Rally d'Italia Sardegna, Sardinia, Italy, Day Three, Sunday 18 May 2008. 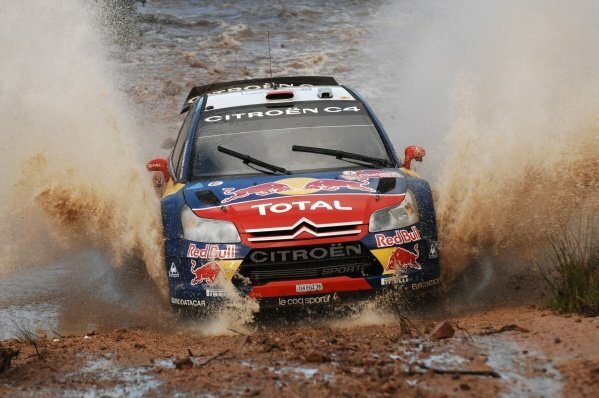 FIA World Rally Championship, Rd 6.<br /> May 15-18, 2008<br /> Rally d'Italia Sardegna, Olbia, Sardinia, Italy<br /> Day Three, Sunday May 18, 2008.<br /> Sebastien Loeb (FRA) on Stage 14.<br /> DIGITAL IMAGE<br /> FIA World Rally Championship, Rd6, Rally d'Italia Sardegna, Sardinia, Italy, Day Three, Sunday 18 May 2008. 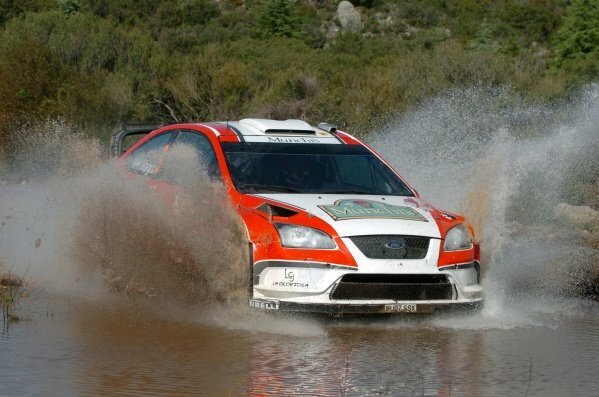 FIA World Rally Championship, Rd 6.<br /> May 15-18, 2008<br /> Rally d'Italia Sardegna, Olbia, Sardinia, Italy<br /> Day Three, Sunday May 18, 2008.<br /> Alessandro Bettega (ITA) on Stage 14.<br /> JWRC.<br /> DIGITAL IMAGE<br /> FIA World Rally Championship, Rd6, Rally d'Italia Sardegna, Sardinia, Italy, Day Three, Sunday 18 May 2008. 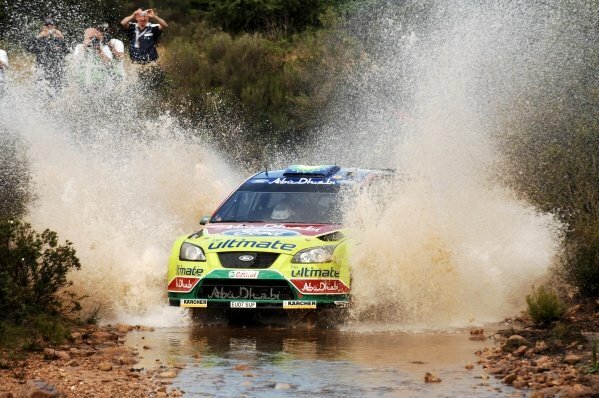 FIA World Rally Championship, Rd 6.<br /> May 15-18, 2008<br /> Rally d'Italia Sardegna, Olbia, Sardinia, Italy<br /> Day Three, Sunday May 18, 2008.<br /> Petter Solberg (NOR) on Stage 14.<br /> DIGITAL IMAGE<br /> FIA World Rally Championship, Rd6, Rally d'Italia Sardegna, Sardinia, Italy, Day Three, Sunday 18 May 2008. 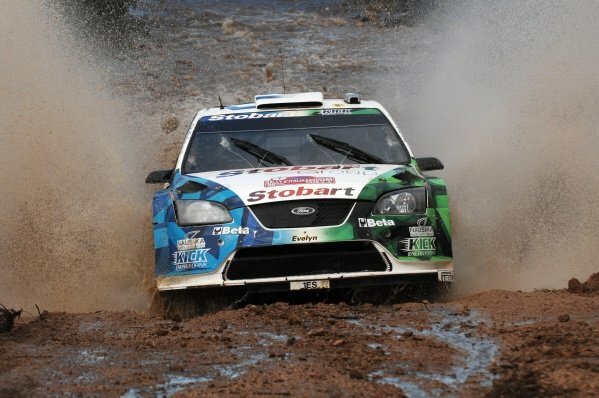 FIA World Rally Championship, Rd 6.<br /> May 15-18, 2008<br /> Rally d'Italia Sardegna, Olbia, Sardinia, Italy<br /> Day Three, Sunday May 18, 2008.<br /> Henning Solberg (NOR) on Stage 14.<br /> DIGITAL IMAGE<br /> FIA World Rally Championship, Rd6, Rally d'Italia Sardegna, Sardinia, Italy, Day Three, Sunday 18 May 2008. 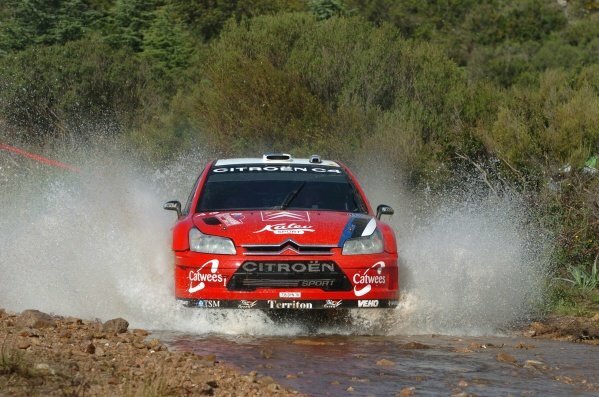 FIA World Rally Championship, Rd 6.<br /> May 15-18, 2008<br /> Rally d'Italia Sardegna, Olbia, Sardinia, Italy<br /> Day Three, Sunday May 18, 2008.<br /> Jari-Matti Latvala (FIN) on Stage 14.<br /> DIGITAL IMAGE<br /> FIA World Rally Championship, Rd6, Rally d'Italia Sardegna, Sardinia, Italy, Day Three, Sunday 18 May 2008. 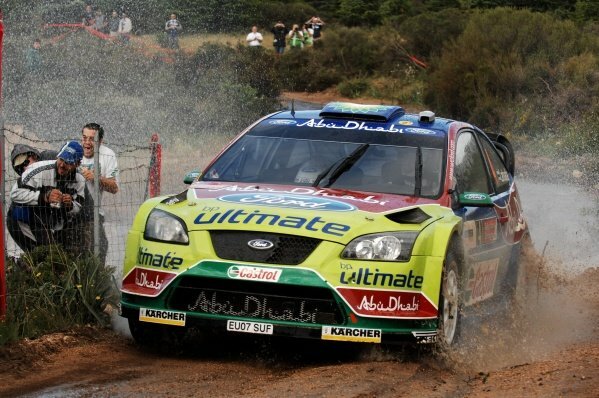 FIA World Rally Championship, Rd 6.<br /> May 15-18, 2008<br /> Rally d'Italia Sardegna, Olbia, Sardinia, Italy<br /> Day Three, Sunday May 18, 2008.<br /> Khalid Al Qassimi (UAE) on Stage 14.<br /> DIGITAL IMAGE<br /> FIA World Rally Championship, Rd6, Rally d'Italia Sardegna, Sardinia, Italy, Day Three, Sunday 18 May 2008. FIA World Rally Championship, Rd 6.<br /> May 15-18, 2008<br /> Rally d'Italia Sardegna, Olbia, Sardinia, Italy<br /> Day Three, Sunday May 18, 2008.<br /> Federico Villagra (ARG) on Stage 14.<br /> DIGITAL IMAGE<br /> FIA World Rally Championship, Rd6, Rally d'Italia Sardegna, Sardinia, Italy, Day Three, Sunday 18 May 2008. 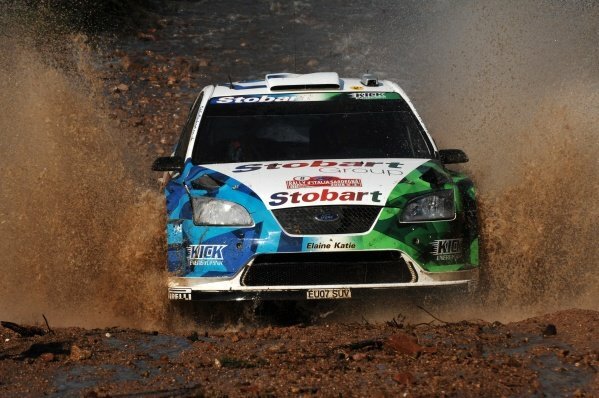 FIA World Rally Championship, Rd 6.<br /> May 15-18, 2008<br /> Rally d'Italia Sardegna, Olbia, Sardinia, Italy<br /> Day Three, Sunday May 18, 2008.<br /> Chris Atkinson (AUS) on Stage 14.<br /> DIGITAL IMAGE<br /> FIA World Rally Championship, Rd6, Rally d'Italia Sardegna, Sardinia, Italy, Day Three, Sunday 18 May 2008. 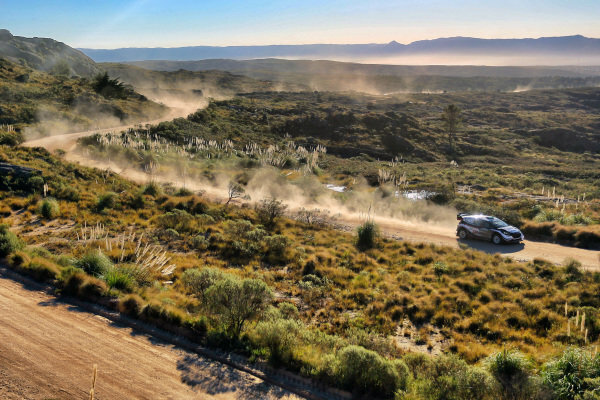 Elfyn Evans (GBR) / Daniel Barritt (GBR), M-Sport World Rally Team Ford Fiesta WRC at World Rally Championship, Rd5, Rally Argentina, Day Two, Villa Carlos Paz, Cordoba, Argentina, 29 April 2017. 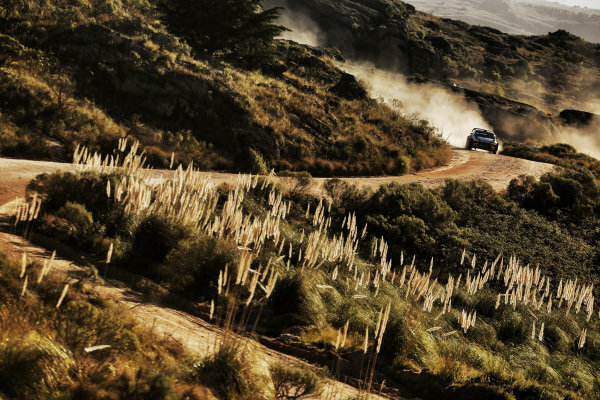 Thierry Neuville (BEL) / Nicolas Gilsoul (BEL), Hyundai Motorsport i20 Coupe WRC at World Rally Championship, Rd5, Rally Argentina, Day Two, Villa Carlos Paz, Cordoba, Argentina, 29 April 2017.